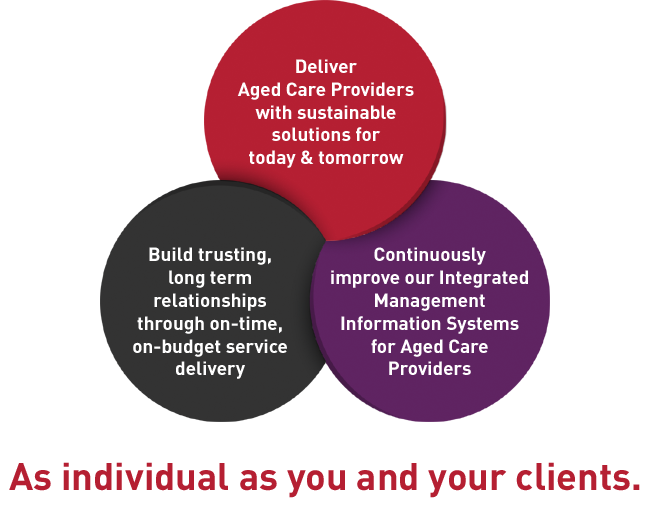 As leaders in aged care management software, we understand that each facility has individual requirements. Since 1984, when the first Care Systems product was developed for an Aged Care facility in Queensland, we have enabled out clients to focus on providing care. Across all Australian states, over 300 organisations manage their facilities using our mature and deeply integrated product suite. We pride ourselves on a process of ongoing development and reinvestment in continuous improvement, both internally and through client input.